Most internet users now want instant results especially in looking for products and services. According to Bright Local, 98% of searchers choose the business website that appears on the first page of the search engine results. This is a great challenge for businesses to double their search engine marketing efforts to rank on top of the results. But apart from SEO, AdWords is changing the game. Many businesses today invest in Google AdWords to effortlessly dominate the search engine results. But how do you run a successful AdWords campaign? Let us help you! The primary goal of running an AdWords campaign is to make a sale, not just a click. You can tell if your PPC campaign is successful if it drives qualified leads to a landing page. The role of the landing page is to convert prospects into paying customers. With this, you need to optimize your landing pages for PPC conversions by packing the message of your ads. Only in AdWords where you utilize the negative keywords to run a successful PPC campaign. AdWords allow you to specify the keywords that are not related or a good fit for your products and services. Through this, you can prevent your ad from displaying on the negative keywords. Just like SEO, you need to identify the right keywords in AdWords. Basically, PPC campaign relies on user intent through keywords. There are different strategies to determine the right keywords. First, you can use broad terms, including its synonyms. You can also specify phrases enclosed in quotation marks. 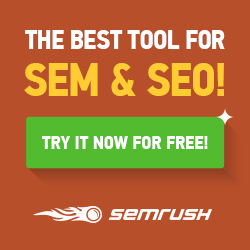 Lastly, you can use free tools that provide you the best keywords for various niches. You should also include ad extensions in your AdWords campaign. Adding extensions can increase your potential of being clicked by customers. As a matter of fact, Google found out that campaigns with at least one ad extension get an increase in click-through-rate up to 15%. Basically, Google automatically creates the extension for you. On the other hand, you can customize it. What’s good with AdWords is that it allows you to appropriate bigger budget on strong keywords. After identifying the keywords, assess which of them are the strongest. It is best if you spend time testing those keywords. After getting the results, dedicate the majority of your budget to these keywords to successfully run your campaign. AdWords has a feature that allows you to bid separately on smartphones, mobile devices, and computers. In running your PPC campaign, don’t forget to prioritize mobile searches. As we all know, mobile searches have already outnumbered desktop searches. This means, more and more consumers are on their smartphones than their computers. It is strategic to invest in mobile AdWords. Running a PPC campaign is really challenging. But if you get the procedure right, you can achieve your marketing goals and hit that business success.